“Just the thought of it sleighs me.”—-Oooooooo….sleighs! That’s punny! Oh, hells yes! Take me to the donut truck so I have can my way with it, honey! The kids are going to lose their ever-lovin’ minds. Wait… are they open at night, too? On Saturdays they are open from 10am until 3am. Thats right 3am! Then the answer to your question last night is YES! I will be taking my camera this weekend. Can you ship Gourdoughs?? do they deliver all the way up here? Reindeer lose in Houston??? Did Santa loose his GPX?? I bet there is an elf in BIG trouble right now!! 1. Fried dough never ships well. 2. Bet they don’t. So sorry. I’ll have one for you. 3. You heard me! Reindeer. On the freeway. In Houston. 4. Santa shoulda’ got a Garmin. 5. I’m willing to bet a couple of elves got canned over this one! We sweep and sweep and sweep and yet there always seems to be the world’s largest pile of brown dog hair right under our dining room table. Nice, right? Happy birthday to the grandson! He’s a handsome guy, and I just love his name. :) The weekend cannot come soon enough! We have a Boston Terrier who sheds some, but not nearly as much as our living room rug. After 2-3 days, the rug bunnies start crawling out from under the sofas. That’s my cue to vacuum. If we didn’t have that rug, I swear I could go for weeks without sweeping. Still, I love that rug and there’s no way the dog’s going anywhere, either. Thanks for the birthday wishes. We can’t wait to celebrate with him this weekend. Hope you have a great one, Meghan! You slay me! I die! That was the best treat of the night. 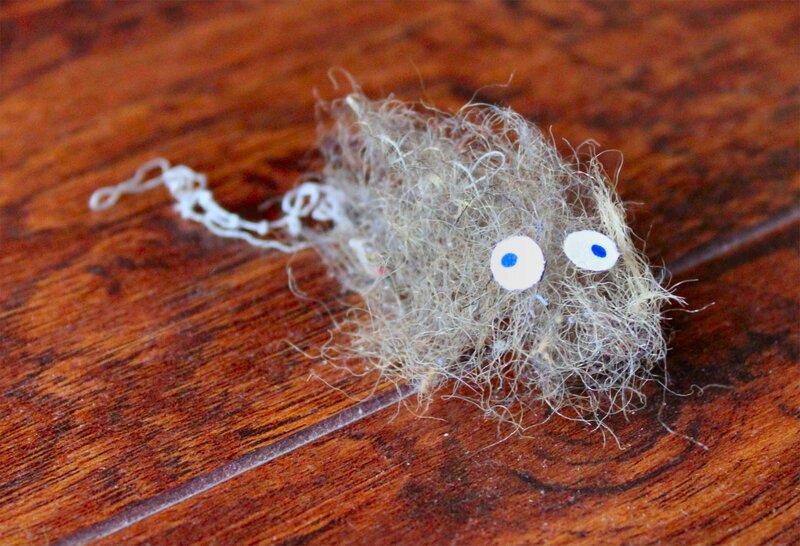 Though the tricked-out dust bunny comes in a close second. It’s hard to know sometimes. 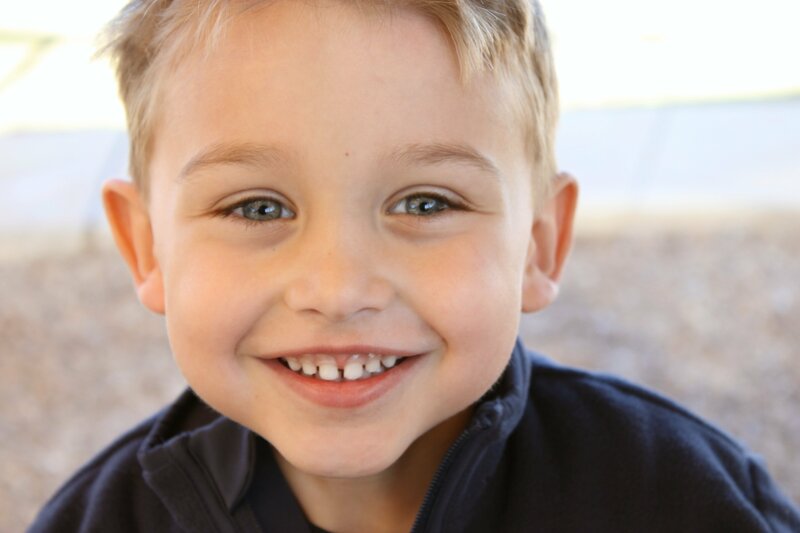 And, Happy 5th Birthday, Jonah Bear! He is growing up so fast! It’s craziness, really. Too fast, Kat. They’re both growing up way too fast, which also sleighs me. There are a lot worse ways to be remembered, so I’ll take Dasher & Dancer on the freeway any day. At least it can be said that we know how to celebrate Christmas here in Houston with all the usual reindeer games. OMG, #1 – I love that TCP writes comments and posts as TCP. You forget, Katie, that he gave himself that moniker and boy does he love to use it! Thanks for confirming the dust bunny sightings in your own home. I needed that. I was only 2 bunnies away from becoming a Dust Bunny rancher. Happy Birthday to Jonah-Bear! I can’t wait to hear about your antics from the weekend. And as if I didn’t already think TCP lives up to the moniker enough, the man went and found a doughnut shop open until 3 a.m. That’s a keeper, right there. P.S. Love the Be A Good Cookie Week collage! Jonah is so so so cute! I hope his bday weekend is awesome–and all of you fun folks just go for it and live it up! We’re really looking forward to celebrating with Jonah this weekend, and to Christmas soon after. The holidays are always more fun with kids around. Cherish every minute with your boys, Monica. Those years are gone so quickly. On the other hand, some day you’ll be enjoying your daughters-in-law and grandkids of your own. And playing with them is MUCH less stressful than raising them! I am so smirking…It is a delight to visit here Jeanne! From a birthday boy to Cookies for Kids Cancer and dust bunnies, YOU are the complete package. Happy Birthday Jonah, you are a lucky young man to have so much love surrounding you! Thank you, Brooks. That’s the sweetest comment ever. 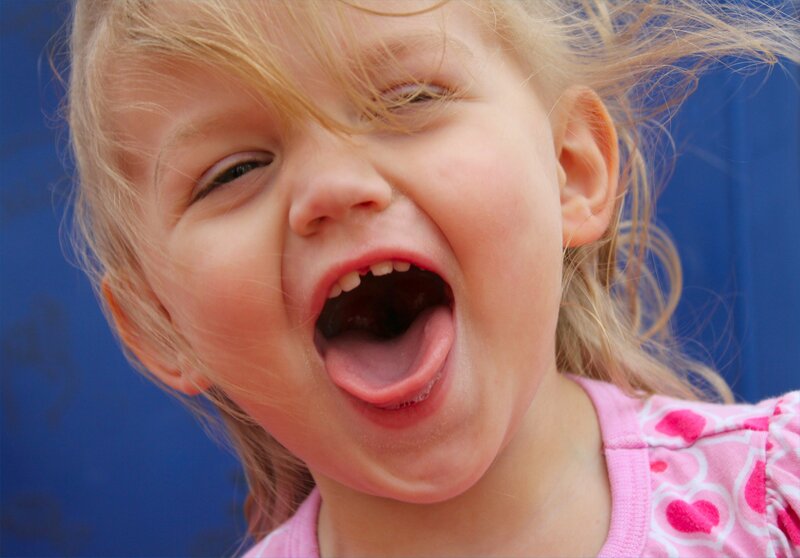 Oh, my gosh….your dust bunny cracked me up!!! SO funny! I blame all our furballs on the dog, but I may have to start adding eyeballs…and see what the kids think! Hello, Liz! Who knew the dust bunny would be so popular? Now I wish I’d kept that little dust bunny. I should have put him in a jar and made a housekeeping snow globe or terrarium. I kind of miss him now. If you pull that one on your kids, you’ll have to let me know if they freaked out or laughed their butts off! Happy belated birthday, Sir Jonah! Gotta love those big blue eyes and the biggest smile in the universe. You must be one proud grandmama. I spent the weekend relaxing, playing Secret Santa, and watching the new Sherlock Holmes movie! It was wonderful. Thanks, Mads. I’ll pass along your birthday wishes. He had a great time this weekend. Had friends over for a birthday party, and raised the roof. TCP and I had those kids whipped into a frenzy. MAN is it great to be a grandparent! :) Your weekend sounds lovely. Of course, any weekend not spent writing papers is a good one, am I right? I’m hoping to catch “The Descendants” while TCP is off for Christmas so we can relive our Hawaiian vacation. We rented a house on the street where filming was taking place, so we’re viewing it as a kind of vacation video. Can’t wait to see Hanalei Bay on film.